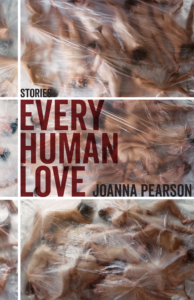 Joanna Pearson’s short stories have appeared in Alaska Quarterly Review, Blackbird, Colorado Review, and Kenyon Review Online, among other journals, and have been noted as distinguished stories in Best American Short Stories 2015 and 2018 and featured in Best of the Net 2016. 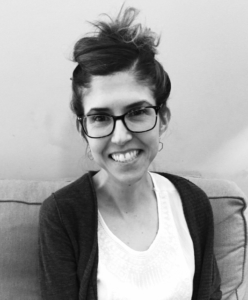 She is also the author of a poetry collection, Oldest Mortal Myth (Story Line Press, 2012), winner of the 2012 Donald Justice Prize and the 2014 Towson University Prize for Literature, and a young adult novel, The Rites and Wrongs of Janice Wills (Arthur A. Levine Books, 2011). She lives in North Carolina with her husband and daughters. The fourteen stories in Every Human Love redefine our sense of reality. Set seemingly in the quotidian, these tales veer into the unexpected, the uncomfortable, occasionally the eerie, thrusting characters in crisis into still greater quandaries, where the world of weddings and work, of frustrated hopes and mundane dissatisfactions, collides with a realm of legend, of fairy tale, of nightmare. In “Changeling,” a helpless newborn is placed in the hands of a perfect stranger; in “Lucky,” a doctor who was the victim of a mugging encounters her attacker again, in the ER; and in “Fox Foot,” a hitchhiker reveals to a disillusioned bridesmaid the secrets of a mysterious cabal. Caught at the crossroads of medicine and myth, parenthood and paranoia, ethical obligation and the unruly impulse, the protagonists who populate this collection are forced to question their decisions, their natures, and to wonder what is real and what imagined. Tell others about Every Human Love. Choose Your Platform!